Recent years have been grim for red Burgundy lovers. Rising demand worldwide and several consecutive microscopic vintages have combined to send prices soaring to the vertigo-inducing heights once reserved for cult cabernets and other wines better suited to be status-conferring luxury goods. The times are especially bleak for young would-be Burgundy lovers, who can only drool with envy as they hear about the wonders of grand cru bottles enjoyed by their parents or grandparents back when prices were still within the reach of ordinary incomes. Grand cru Burgundies, of course, stand tall in the pantheon representing what great wine can achieve, captivating both mind and soul. They come from exalted vineyards and, theoretically at least, are unsurpassed at conveying in intricate detail the mystical notion of terroir, which encompasses not only the composition of the soil but also the microclimate, the drainage, the elevation, the angle of exposition to the sun and the human touch. If the glories of a Musigny or a Chambertin, to pick two of the greatest names, are available to only a rarefied group, premier cru wines, one step down in the terroir hierarchy, offer at least a good idea of their potential pleasures. Alas, good examples of these wines, recently the refuge of the middle-income Burgundy fanatic, have also shot upward in price. This is especially true of the most vaunted villages for reds in the Côte d’Or, the narrow stretch of land that forms the heart of Burgundy. 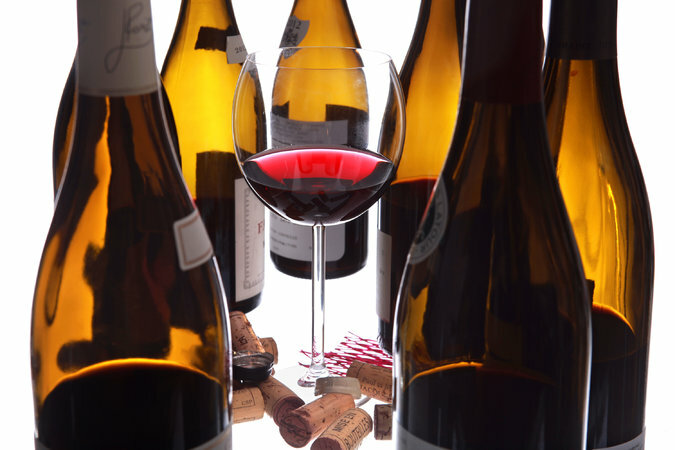 Premier crus from places like Chambolle-Musigny, Gevrey-Chambertin, Vosne-Romanée, Morey-St.-Denis and Volnay often begin above $100 a bottle and keep climbing. Village-level wines (the base of the terroir pyramid), which can convey the general characteristics of a village rather than specific vineyard sites, likewise are no longer bargains. Even less geographically distinct regional wines from good producers can be costly. I saw a Côte de Nuits-Villages 2012 from Denis Bachelet, once a reliable entry-level Burgundy, selling for more than $80 in Manhattan. Nonetheless, those who crave red Burgundy are not without options. One is to look for wines in some of the lesser-known villages within the Côte d’Or, places like Marsannay, Fixin, Santenay, Savigny-lès-Beaune, Monthelie and St.-Aubin, to name a few. Sadly, the pricing surge has swept up many of the better producers in these places, too. Another option is to look outside the Côte d’Or, directly south to the adjacent Côte Chalonnaise. As in the Côte d’Or, wines from the primary red-wine appellations, Rully, Givry and Mercurey, must be made of the pinot noir grape. The reds from the Côte Chalonnaise don’t generally offer the elegance, precision and graceful intensity of those from the Côte d’Or, nor do they have the same potential for nuance and complexity. Yet the best Côte Chalonnaise reds do convey what makes Burgundy the promised land for pinot noir wines, and often at far more affordable rates. The wine panel confirmed this view of Côte Chalonnaise reds in a recent tasting of 20 bottles from the 2012 vintage, a very good year for quality, even if numerous hailstorms in the Côte d’Or kept yields low. For the tasting, Florence Fabricant and I were joined by Lelañea Fulton, the wine director at Dirty French on the Lower East Side, and Bernie Sun, the French portfolio brand director at Kobrand, a wine importer. We all agreed that the wines were a little more rustic and a little less focused than what we may expect to find in a similar set from the Côte d’Or. At the same time, they were balanced, earthy, lithe and harmonious, qualities that Burgundy lovers prize. And they displayed few of the flaws that may have been expected from the Côte Chalonnaise a generation ago, like dilution and under-ripeness. Climate change? Quite possibly. Better farming and winemaking? No doubt. In particular, Lelañea embraced their rusticity, saying she loved the spice and pepper flavors of the wines, while Bernie and Florence both thought the wines showed well across the board. It’s worth noting that for people who associate pinot noir with exuberantly fruity California wines, these bottles may seem austere at first, their fruit subdued. But if you give them time, their lightness will come to seem a virtue, suggesting the Burgundian ideal of intensity without weight. Our favorite came from Domaine Ninot, a Rully producer that was unknown to me. The cuvée, La Chaponnière, was easygoing and graceful, yet with a lip-smacking deliciousness that would seem to make a bottle go down very easily. Right behind, at No. 2, was a Rully from Domaine Vincent Dureuil-Janthial, one of the best producers in the Côte Chalonnaise year in and year out. This Rully showed the kind of finesse and nuance you don’t expect in an entry-level wine, along with plenty of spicy red fruit. Both of these bottles cost $28, yet even though we ranked the Ninot slightly higher, I picked the Dureuil-Janthial as the best value, as I think it will be less difficult to find. In addition to their domaine, Vincent Dureuil and his wife, Céline, run a small négociant business. Their Rully Vauvry, our No. 9 bottle, was light, balanced and refreshing, a delicious wine though it lacked the extra dimension we found in their domaine bottle. Paradoxically, the Vauvry cost more, $31, because it came from a premier cru vineyard, but we thought the village Rully was better. We also very much enjoyed the savory, complex Les Grands Prétans, a premier cru Givry from Domaine Besson; the dense and spicy Les Champs Martins, a premier cru Mercurey from Domaine Michel Juillot, another top name; and the graceful, harmonious Mercurey Les Montots from Domaine A. & P. de Villaine. Aubert de Villaine, the proprietor with his wife, Pamela, also happens to be the co-director of Domaine de la Romanée-Conti, the storied Côte d’Or estate whose wines are among those out of the price range of mere mortals. At $60, their Mercurey was one of two most expensive wines in our tasting, along with the Mercurey La Plante Chassey from Catherine & Dominique Derain, a substantial wine but currently a bit closed. A $60 price tag on a bottle of wine is steep for anybody. It may especially seem high for a bottle that can be perceived as off-brand Burgundy. Two things to keep in mind: First, that’s simply the reality of buying Burgundy today. Second, the wines of the Côte Chalonnaise are far from poor substitutes. They are delicious in their own right.